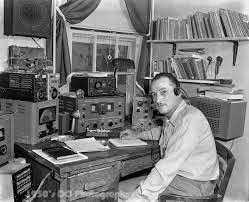 The Southern California based PAPA Repeater System in association with BEARS (Broadcast Employees Amateur Radio Society) and DEARS (Disney Emergency Amateur Radio Service ), will be holding a special event radio station K6H "Hamnado" - Hollywood Celebrates Ham Radio. The operators will be hosted by the licensed amateur radio operators on the crew of the hit ABC television series "Last Man Standing". K6H will take place on Sunday, September 28 from 7 AM to 3 PM Pacific time and will operate on 10, 20 & 40 Meters on HF and D-STAR on reflector 12A. 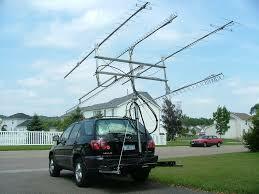 The event will also use DARI (Disney Amateur Radio Interconnect) to link the WB6AJE repeater in Los Angeles to Disney/ABC sponsored repeaters in Manhattan - Bristol Connecticut, Washington DC and Orlando Florida. Various IRLP and ECHLOLINK nodes will be available. The event will be coming from the legendary Stage 9 (aka The Seinfeld Stage) on the CBS Studio Center lot in Studio City California. Contacts will receive the limited edition QSL card, attached. The PAPA website will also stream video directly from the operating stations, so that you can see yourself contacting the K6H operators. Check the WWW.PAPASYS.com website for updates. 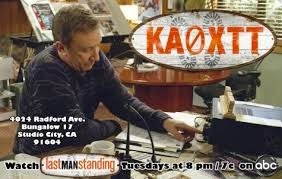 On Last Man Standing, Tim Allen plays Mike Baxter, a licensed ham- KA0XTT. "Last Man Standing" is responsible for inspiring 26 of their crew members to get their licenses, which range from technician to extra class. Season 4 of "Last Man Standing" premiers on Friday, October 3rd, 8 PM / 7 PM Central.